And that includes the life of your most important investment: your home. The first step in the creation, renovation, and preservation of your dwelling involves choosing the right products. By choosing The Freedom Steel Collection, you've selected the finest steel siding available - and opened the door to the collection's wide variety of styles and color choices for your home. Whether it will be applied on your house in the suburbs, a secluded ranch in the mountains or vacation home at the lake, picture the distinct and lasting impression you create once you choose siding from The Freedom Steel Collection. Beauty and endurance, coupled with strength and dependability, all combine to paint a portrait of your home that will reflect your unique personality and lifestyle. Whether you're selecting The Freedom Steel Siding Collection to renovate your existing home, or for use in building a new one, you'll find the products' high-quality and low maintenance finish an attractive and welcome relief. 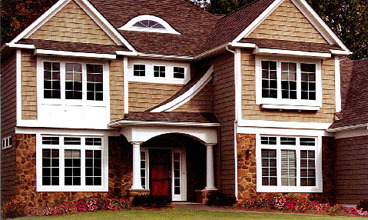 Add to that our architecturally pleasing profiles and structurally sound construction, and you're siding your home with the premium features and reliability found only with an industry leader - Suburban. The Freedom Steel Collection provides a wide array of steel siding products to accommodate even the most discerning palette. As a part of this collection, eleven contemporary color selections have been artfully chosen - each is part of the Freedom ColorThourgh Color Matching System, which allows you to coordinate your siding with other Suburban exterior products and accessories. Freedom steel siding creates the ultimate shield for your home. Heavy rain, strong wind, freezing temperatures and even blistering heat are no challenge for the commanding strength of Freedom steel siding. Each pretreated galvanized steel panel is virtually "weather-sealed" with the resilient Freedom Kynar Finish, ensuring long-lasting beauty and durable protection. Whether relaxed indoors or miles away from home, knowing your house is safeguarded against the most extreme weather conditions provides an important sense of security. From the searing heat of summer to the bitter winds of winter, to unforgiving thunderstorms or just an enthusiastic little leaguer, The Freedom Steel Collection provides everyday peace-of-mind. 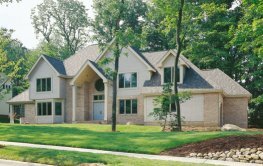 The reality is there are many siding options on the market today, and while most look great when first installed, time is the test that many fail. Within years, painting or staining is often required to maintain an acceptable appearance. But, The Freedom Steel Collection offers a siding option that will looks beautiful with minimal attention, providing unparalleled performance benefits for an attractive and durable exterior that stands the test of time. No other steel coating system resists the challenges of nature and time like those based on Freedom Kynar Finish resins. Protecting and preserving the steel core, the Freedom Kynar Finish coating provides a luxurious, low-gloss color that resists scratches, fading, chipping and more. Freedom Kynar Finish proprietary coating also resists mildew and fungus growth and helps prevent colors from fading. Unlike fiber cement that may require periodic recaulking and repainting, just a simple rinse with a garden hose will remove most dust and dirt to restore the like-new beauty. Impact Resistant Constructed of roll-formed 29 gauge Galvalume AZ-50 steel for maxium resistance to hail damage and denting. Built Weather-Tough Unlike wood, compressed particleboard or fiber cement, PermaFinish won't absorb moisture. Steel siding also resists warping, chalking, fading and brittleness and is independently tested to withstand hurricane-force winds exceeding 160 mph. Straight Wall Lines The low thermal expansion is less than 1/8" over a 12' panel for high dimensional stability. Class A Fire Rating Unlike many other siding materials, PermaFinish steel is a non-combustible product, meeting even the most stringent building codes. 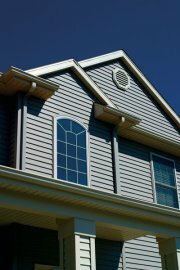 Environmentally Friendly PermaFinish steel siding is 100% recyclable; no painting, caulking or issues with silica dust. Insect Resistant Resists damage from wood-eating insects. Simple to Install Installs easily; unlike fiber cement, PermaFinish steel does not involve hazards from silica dust. Purchasing steel siding is the easiest part of the process. From color to style to application, the possibilities for perfection are infinite. Making an informed choice to transform your home with steel siding from The Freedom Steel Collection is truly an enduring gift to you... from you. The Freedom Steel Collection is backed by a lifetime limited transferable warranty including a 50 year hail protection guarantee. See warranty for product details. Please enter the number 64289 in the box provided below.